Registration for the February 2019 seminar remains open as a webinar of recordings for retakers only. "Life is all about relationships." Learn 14 new Repatternings - most are demonstrated in 6 classes of 3 1/2 hours each. 1. You have completion the Five Elements and Meridians class. 2. You must be an approved Advanced Studies Member of this website. Upgrade your membership at your account profile. Select "Change Membership" and complete the form (-Its free). 3. Purchase and complete the RRI HomeStudy - Principles of Relationship prior to the start of the first class. The book is included in the cost of the seminar for first time students. Shipping outside of the USA is billed separately. NOTE - For Retakers the book and home study are purchased separately. when we are free of negative judgments about those we are in relationship with (which supports unforgiving attitude). Self-healing in our relationships depends on shifting our residents and experiencing loving connection. Both are important. 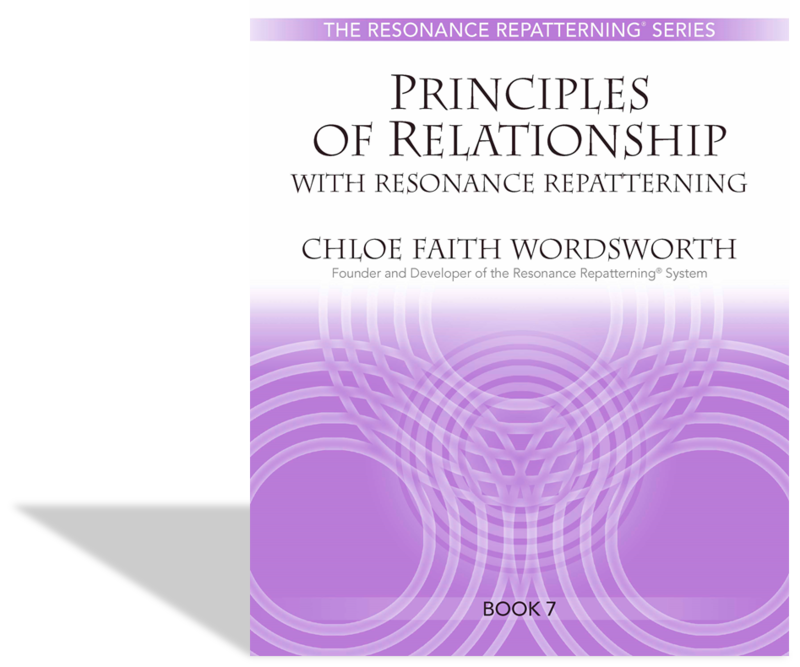 Applying about repatterning's in this book helps us to resonate with new neural house way connections and memory imprints so new ways of relating become possible for us. In past noncoherent relationship we moved into relationship patterns that didn't support our needs. In the coherent healing relationship between practitioner and client-which is based on trust, nonjudgment, compassion and the capacity to help us transform our past residence patterns-new neural connections are made new ways of relating become possible. 1. The principle of interdependence-which recognizes that the whole creation is an interconnected web of relationship every being interacting with influencing and being influenced by every other being. This principle also recognizes that we have basic needs that must be met if coherent relationship life are to be maintained. 2. The principle of entrainment and resonance,-which recognizes that coherent, mutually nurturing learning relationships are possible to the extent that the frequency fields of those involved are in sync with each other and positively resonating with each other. 3. The principle of polarity, which recognizes the necessity for the intention of the opposites-which not only maintains balance in relationship but also acts as an impetus for growing and transformation. The repatterning's that you will learn in this course allows us to sustain a higher state coherence in our relationships and encourage our closest relationships to soar. The introductions to each repatterning aims to provide some general knowledge about the purpose of each repatterning and to orient the client to a new awareness of why a particular repatterning as needed at this point in their life. Many times clients feel that the meeting of the introduction is a major part of their self-healing process. Transformation always occurs in three levels simultaneously: first there is a new awareness; awareness begins to change who I am; when "who I am" changes, this changes how I relate. The repatterning's in this book and to support these three levels of transformation." "I thoroughly enjoyed the online experience of studying directly with Chloe Faith Wordsworth. Her energy is invigorating; I found myself truly engaged. The insights gained through this program have helped me on so many levels - and my clients have received the benefits of the deeper repatternings. I highly recommend this program, and look forward to further online offerings.